If you guys go back to the episode that I recorded that is called Planting Seeds, that’s something that I’m always doing. That’s one of the biggest things I can attribute any success I’ve had is to planting seeds with people. You know I see a lot of opportunities, a lot of potential in someone or working with someone and even if I think it’s completely out of reach for that person to work with me or for them to change what they’re doing, or I just have no clue how we’re going to work together but I know that there’s a quality person that wants to. I plant seeds in a very specific way. It’s turned into business partnerships, it’s turned into amazing things. Now we’re nearing episode 100 and I’m crazy about that milestone. Of hitting 100 podcasts because when we launched the CarrotCast, I didn’t know what it was going to be. I didn’t know if it was going to be, you know, 20 episodes, 25 episodes or if we were going to stop at 50, 100, 1000, I don’t know. And I still don’t know when and where this podcast is going to go specifically. But what I do know is we’re going to continue to deliver things that inspire you. Continue to do, deliver things to help you be a better entrepreneur. To help you get more freedom, flexibility, grow your finances so you can have more impact in this world. And, today’s podcast episode is a recording actually from one of our clients, but also an amazing investor and agent Connor Steinbrook from his podcast. I’ve been on Connor’s podcast a couple times and the first time it was on the investing side of things and this time it was on the agent side of things. He’s growing a really, really, really fast agency right now with EXP Reality and it’s just amazing what he’s doing in his business, it’s amazing that so many of our other clients are doing on the agent side in addition to the investment side. So he interviews me about how agents can leverage Carrot, and how agents can leverage content on the web to grow their businesses better. So hopefully you pick up a couple tips here if you are an agent and you have your license. 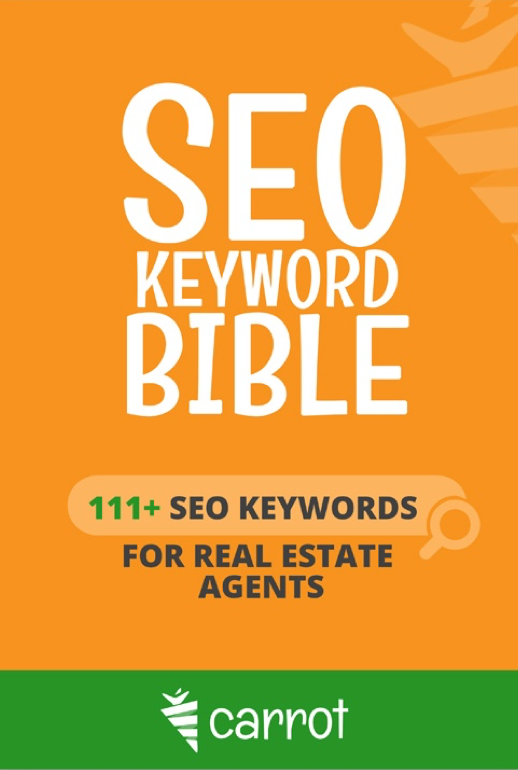 1:30 – Brief history of AgentCarrot, optimized websites for Real Estate Agents. 3:20 – How AgentCarrot is different from InvestorCarrot websites. 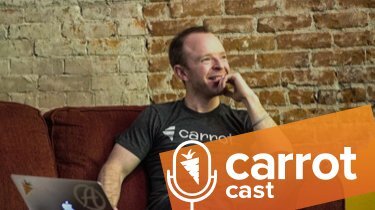 8:35 – The mindset of how people look at pricing and what the current pricing structure looks like for AgentCarrot. 13:00 – Why building credibility and having a real estate agent website can help control the psychology of a motivated seller. 14:30 – What Carrot’s mobile (phone) search data is currently showing for lead generation. 16:55 – What integrations are currently available for agents using AgentCarrot. 20:45 – Baking in Carrot’s conversion framework into AgentCarrot websites and the different site styles available. 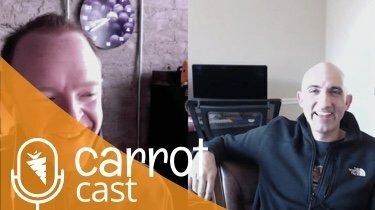 23:30 – Some interesting things that happened with AgentCarrot Beta clients for SEO. 28:30 – Three changes that Carrot has notices within how Google is ranking websites. 34:30 – How to drill down your targeting into certain area locations, such as neighborhoods, using the Carrot system. 38:00 – What tools you can use besides Google Keyword Planner to find content and cut through the clutter. 43:00 – 3 of the biggest mistakes Investors and Agents make with their online marketing. 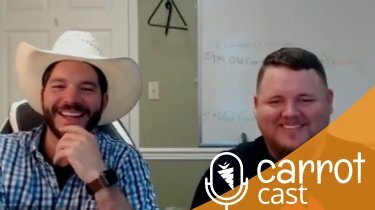 48:45 – How Carrot is build to help real estate professionals succeed.